This was the very first song I thought of when I was thinking of a song to post for the theme. I don’t know what it is about this band… now that I listened to it again, I’m realizing that this song is cheesy as hell, but honestly, they still just make me smile. This is another one of those bands that Adelle and I heard when I was taking her to Warped Tour every year. In our defense, the first time we heard them live, we pretty much laughed at them and mocked them while standing at the very back of the crowd. However, Adelle kept listening to them, which in turn meant I kept listening to them, and before I knew it, they were all I was listening to. They accompanied me on many trips to my sister’s house, and now they are simply nostalgia for me. So, given that this is a party theme and we all love those parties in our bedrooms late at night, I will let you just sit and enjoy this one for what it is. The Song Lyric Sunday theme for this week was parties/partying. Please feel free to click the link, read the rules and post one of your own. This week, the lyric Simply Marquessa chose was: “Girl, you better have your hair weave strapped on tight…” It comes from the song, Chunky by Bruno Mars. When I read the lyrics to the whole song, it helped me come up with the theme for this week. It seems like we slowed things down a bit last week, but for this week we are heading to the opposite side of the spectrum. I haven’t had much cause to celebrate lately, but I’m thinking that sometimes you just need to find a reason. It doesn’t do anyone any good to constantly live life in fight-or-flight mode, just waiting for the next awful thing. For my birthday at the beginning of the month, I was able to plan an impromptu get-together with my family. Honestly, it’s been the one fun thing that’s happened this month. I’m happy we were able to do it and that it gave me some happy memories to help keep me going. I think we all need a reason to party, so hopefully the theme this week will give you one. Our theme for Song Lyric Sunday this week is “parties/partying”. I’ve been sorely lacking in my blog presence lately, and I’m thinking Friday fiction is just what I need. What about you? 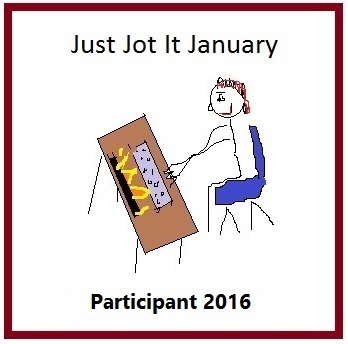 Click on the link and join in the writing fun. I promise, it’s worth it! Please participate and comment on Marquessa’s blog. Pings and comments will be turned off here. I thought of this song right away, but then I started looking for “something better” and to be honest, less obvious. But, nothing spoke to me like this one did, so I decided to go with my first choice. I also chose to go with the version from “Across the Universe”. It is such a profound version of the song and Carol Woods is simply breathtaking. I’ve learned throughout my life that you don’t always have to fight back. Even if you think you’re right and the other person is wrong, sometimes walking away and letting it be is the answer. I find myself wondering, is it really worth a fight? I know there’s a great quote floating around out there… would you rather be right or would you rather be happy… and it seems to fit this song and the narrative of today’s climate. I don’t know about you, but I’m ready for peace. I hope you enjoy this version of the song, especially if you’ve never seen it. The Song Lyric Sunday theme for this week was peace. Please feel free to click the link, read the rules and post one of your own. This week, the lyric Simply Marquessa chose was: “When we’re together, we never fight, we’ve got better things to do tonight…” I actually came up with the themes for these a while ago, and when I first looked at the theme I chose, I couldn’t quite figure out why I chose it. When I first read the lyric prompt and the song it came from (She Wants To Dance With Me by Rick Astley), I realized that we had already covered dance, so I had to get creative with this one as well. I really love the theme I chose this week and I think many of you will like it as well. I need a little bit of it in my life right now. I’ve been through a series of doctor appointments and medical procedures and I’m quite ready for some answers. Barring that, I’m just hoping for a break from doctors for a while, and I’m truly hoping that’s in my foreseeable future. Anyway, I’ll get right to it so we can all bask in the glow. Our theme for Song Lyric Sunday this week is “peace”. I found myself on the internet looking at lists of songs because this particular theme was a hard one for me. While I was scrolling, I actually remembered this song and went to check it out. I do love this song quite a lot and when I first heard it, I thought it was genius and I felt real empathy for poor Superman. But today, it struck me as funny and also rather fitting for this theme in a backhanded sort of way. I mean, he’s Superman! How hard could it really be? It also struck me that Superman might be a little full of himself here… “it’s not easy to be me” and “You can all sleep sound tonight.” I guess it’s easy to be full of yourself when you’re Superman. Honestly, who wouldn’t be? I do hope you enjoy the song! 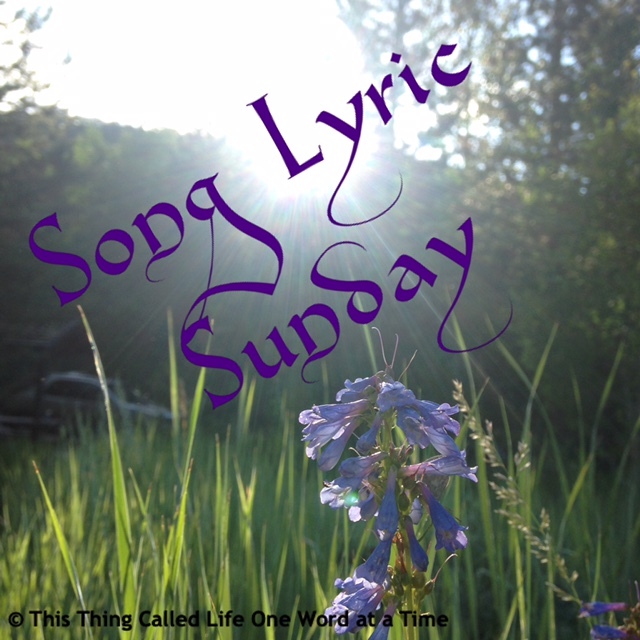 The Song Lyric Sunday theme for this week was bragging. Please feel free to click the link, read the rules and post one of your own.